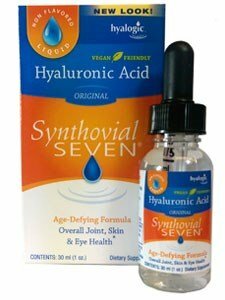 Synthovial Seven® Oral Hyaluronic Acid (1 oz). Synthovial Seven® is an oral solution made from premium grade Hyaluronic Acid with high molecular weight. HA (Hyaluronic Acid) is a polymer and it can come in varying molecular weights. Studies have shown more benefits with the higher molecular weight HA polymers.